Parkland began in 1996 and is now a leading national think-tank. It is recognized across Canada as an important source for high-quality public policy research. Its expertise on public interest issues including health, privatization, and energy policy is sought by groups and individuals from within and beyond Alberta. The Institute regularly fields requests for briefings from government entities as well as major federal political parties including the New Democrats and Greens. Others like the Council of Canadians, the Polaris Institute and the Canadian Centre for Policy Alternatives and unions alike, all rely on Parkland for the valuable research and analysis they provide. Parkland strives to be open, critical, innovative, transformative, and solutions oriented. Its goal is to do top quality research focussing on key public policy issues provincially and nationally, including energy security and environmental sustainability, social justice, and social equity issues. All Parkland Institute releases are peer-reviewed by qualified experts, ensuring accurate and credible analysis. 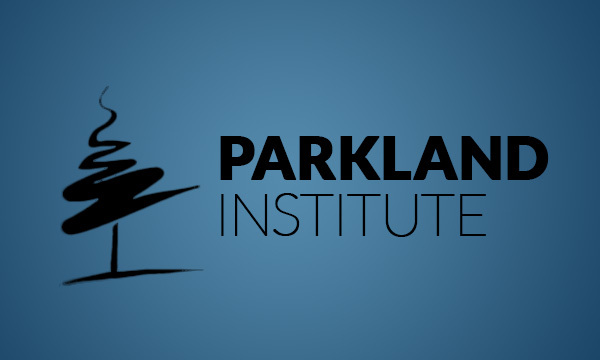 Parkland’s publication record places it among Canada’s most productive and influential think tanks (public policy research center). Parkland is funded entirely through the support of individuals and groups that value the progressive perspective the Institute offers. While Parkland receives in-kind support from the University of Alberta in the form of a building and access to the university’s administrative infrastructure, fundraising efforts make possible the Institute’s ongoing research and education efforts. Virtually all of Parkland’s revenue comes from hundreds of individual and organizational donations.